The protagonists of the cartoon of Disney Phineas and Ferb, return in a new adventure in which they need your help. 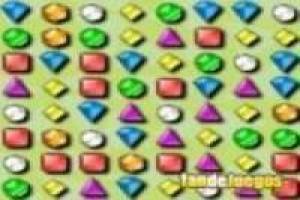 We are going to play the Bejeweled classic but with objects from this funny series and with the animated characters. 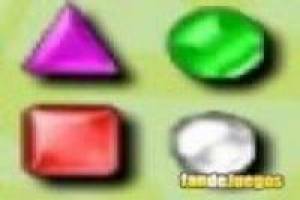 We will have to join the same gems to make them disappear from the panel and get points for them. At least we have to join three of the same color to eliminate them and make new ones fall. Reach the target score before the end of time and you can continue to explore the following levels of the game. 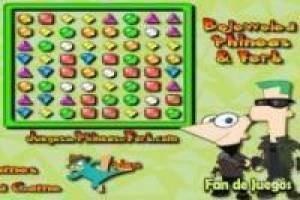 Enjoy the game Phineas and Ferb: Bejeweled, it's free, it's one of our bejeweled games we've selected.